Nothing says summer better than a warm day outdoors, at the beach or in the garden, so why not conjure both places at once? (Talk about perfect combination of natural beauty!) That's what Barb, author of the Everyday Home blog, asked one day after spending some time with her grandchildren at the beach. As the children played, Barb found inspiration. "When you go to the beach, everything gets covered with sand. 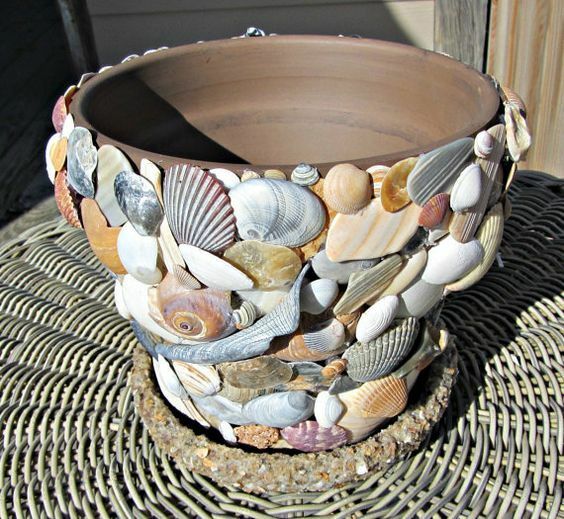 When I spied the sand buckets partially covered in sand, my creative juices started flowing." Creative, indeed! When the family returned from the beach, she set up a crafting table for the grandkids. 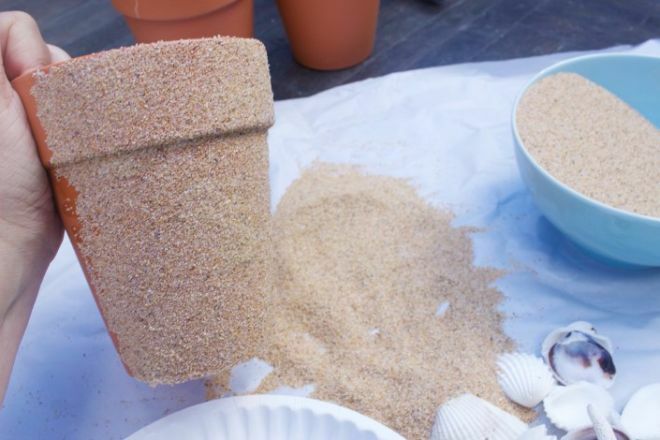 Barb had brought some beach sand home with them (you can also buy sand at a craft store). so she set it on the kids' table with Elmer's glue and terracotta pots. 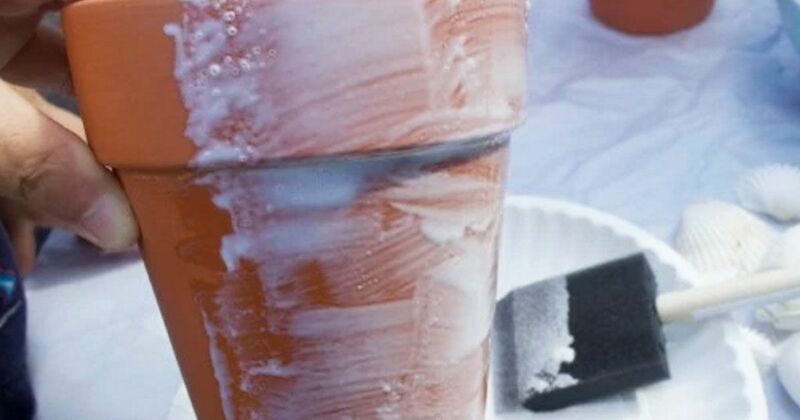 The kids painted the glue onto the pots, then coated them in sand. When the glue was dry, Barb found some nautical-looking ribbon and tied them around the tops of the pots. The look was completed with a large shell glued into the ribbon. 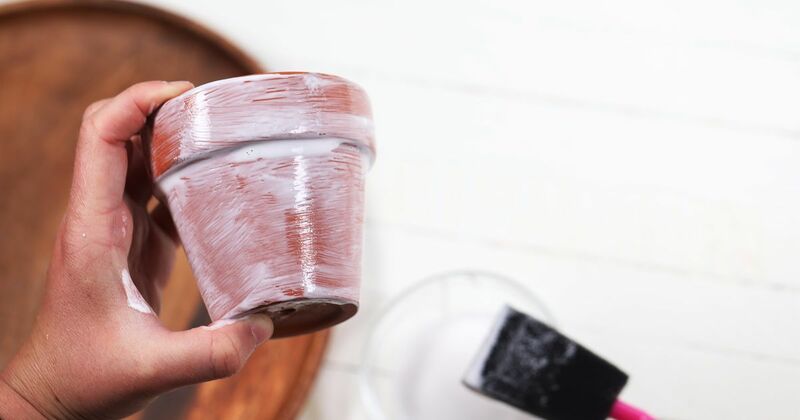 To vary the planters, try stenciling the terracotta pots in nautical designs -- you can use the sand, some paint, or a combination of both! 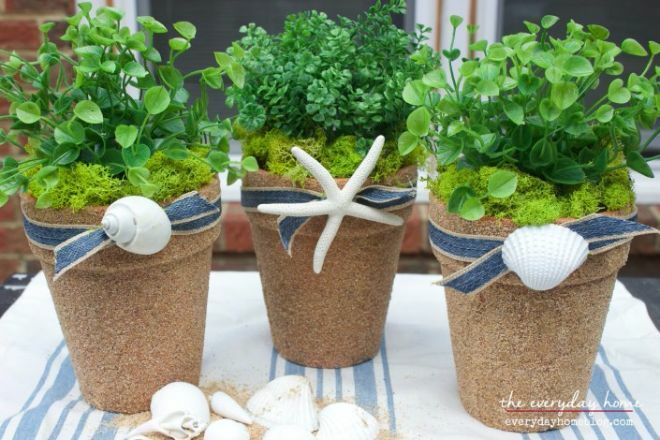 Like Barb's sand, other finds at the beach can be used to create beautiful garden designs that don't cost a lot of money. Bring home driftwood to create mini gardens or a lovely garden sign. Smaller pieces of driftwood (or a grapevine circle from the craft store) can be used to display a seashell collection in a beautiful summertime wreath. Please share this article with friends who think every day is a great day to be at the beach!